Offering you a complete choice of products which include overhead traveling cranes and traveling cranes. 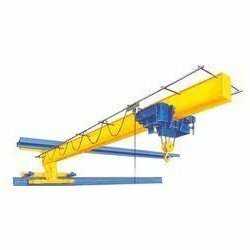 We are engaged in manufacturing and supplying Overhead Traveling Cranes in various specifications . Our cranes are offered at reasonable prices. These cranes are also provided with fail safe instant brakes for having a smooth and trouble free operation. We are instrumental in providing extensive range of wall traveling cranes, which are highly reliable and efficient in operations. Fabricated using cutting edge technology, these material handling cranes are used for operation on a lower level beneath a large traveling crane system. 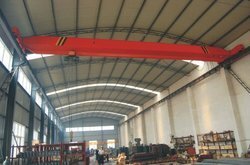 Our range of wall mounted crane is in compliance with varied defined quality standards to meet the dynamic requirements of our clients.